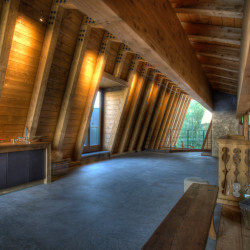 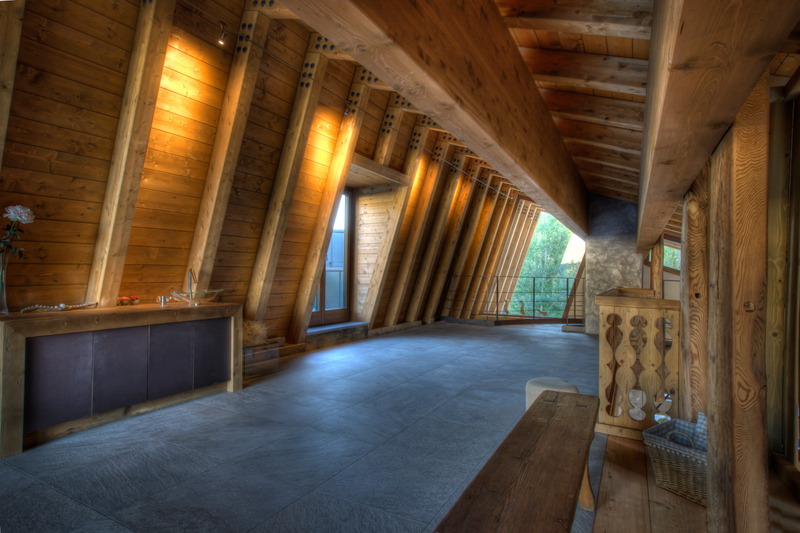 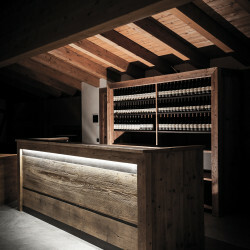 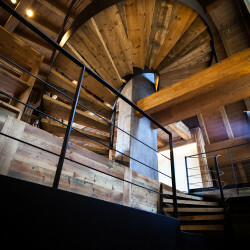 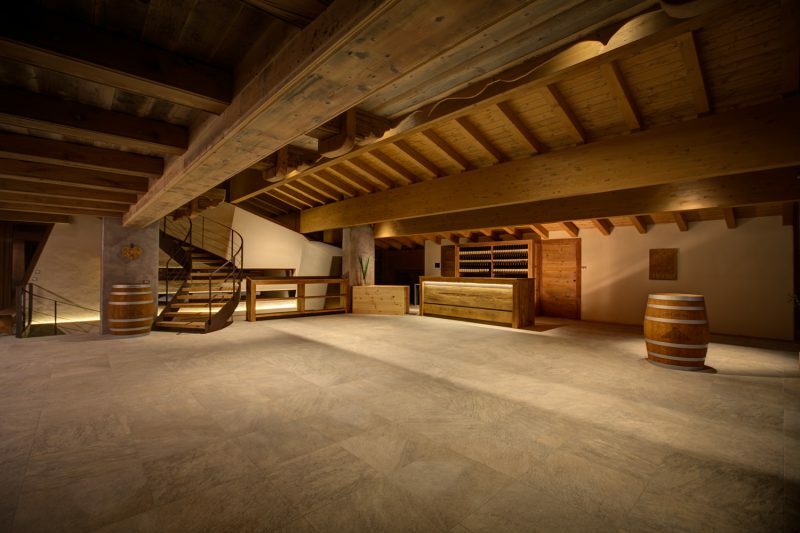 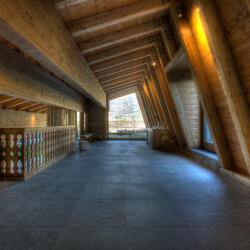 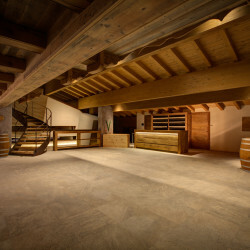 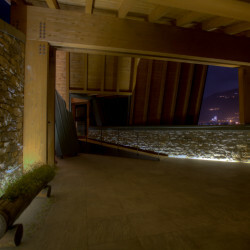 The “Rifugio del Vino” a building of about 170 square meters built next to the historic cellar. 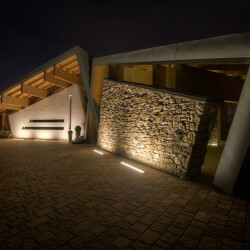 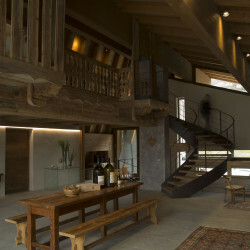 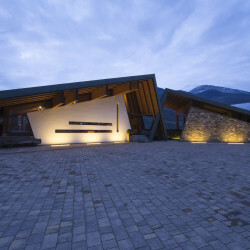 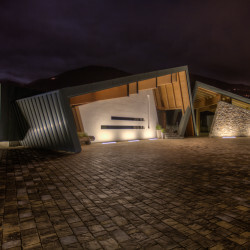 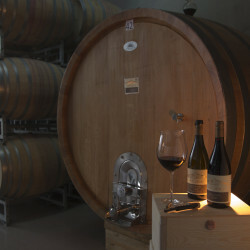 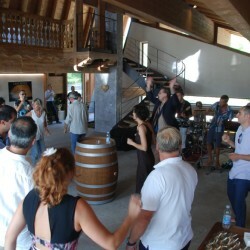 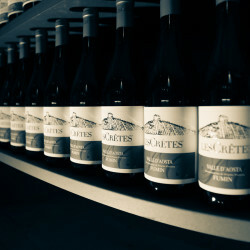 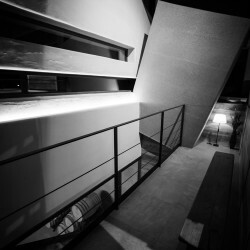 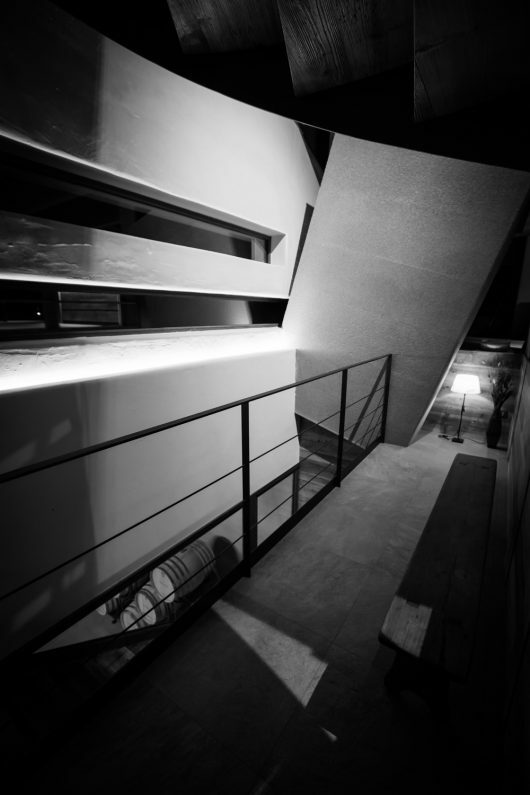 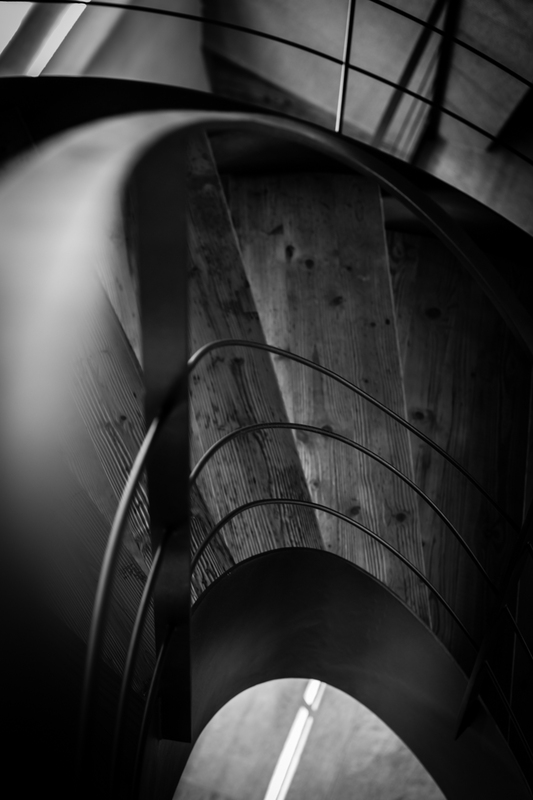 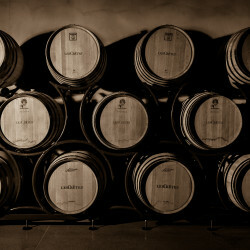 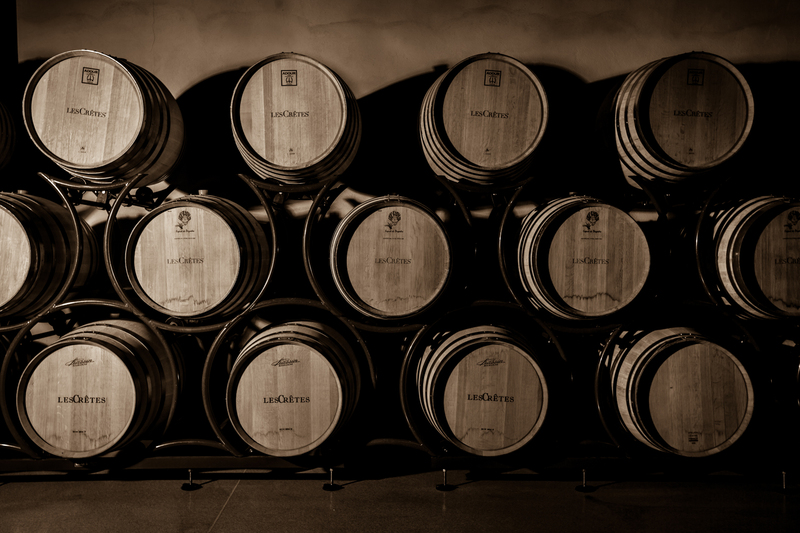 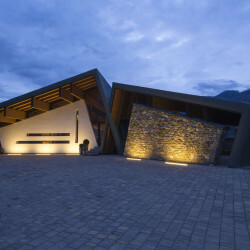 An ambitious project, the union of wine, mountain culture, architecture. 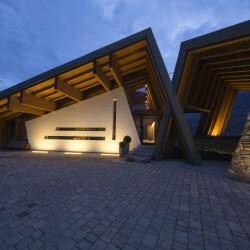 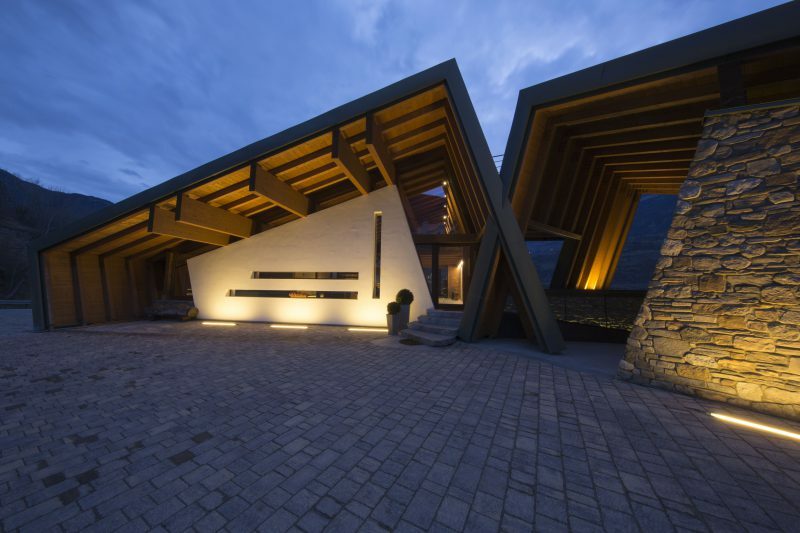 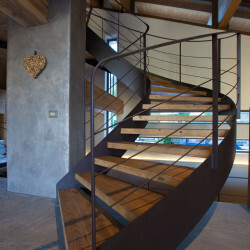 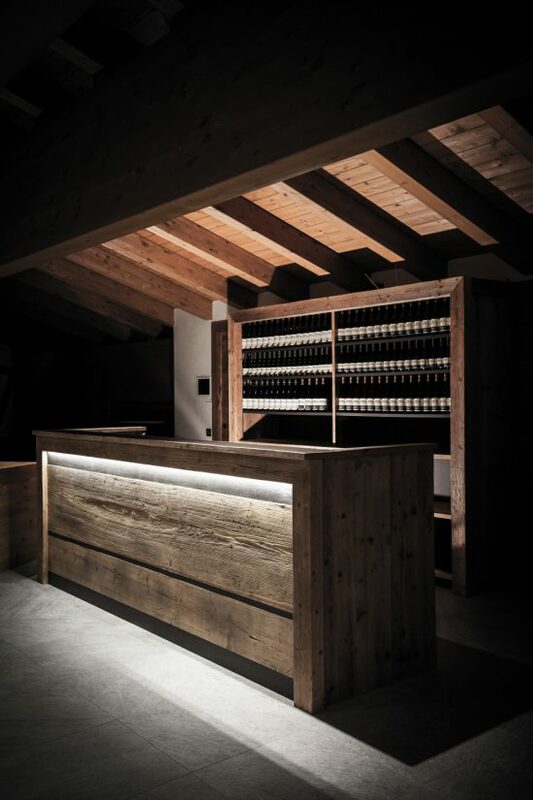 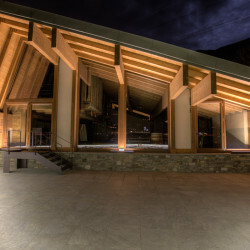 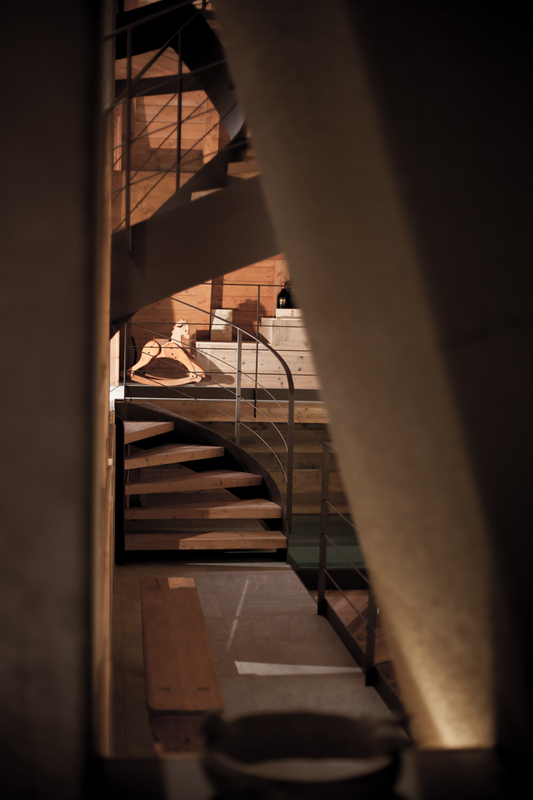 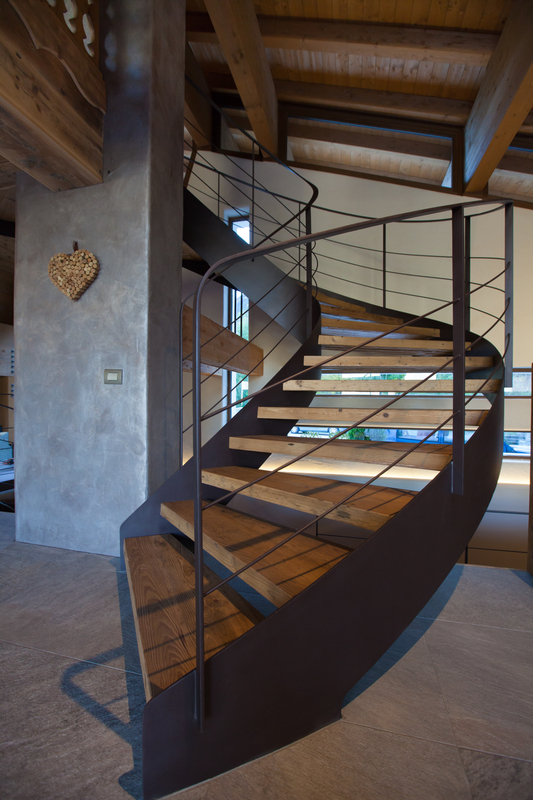 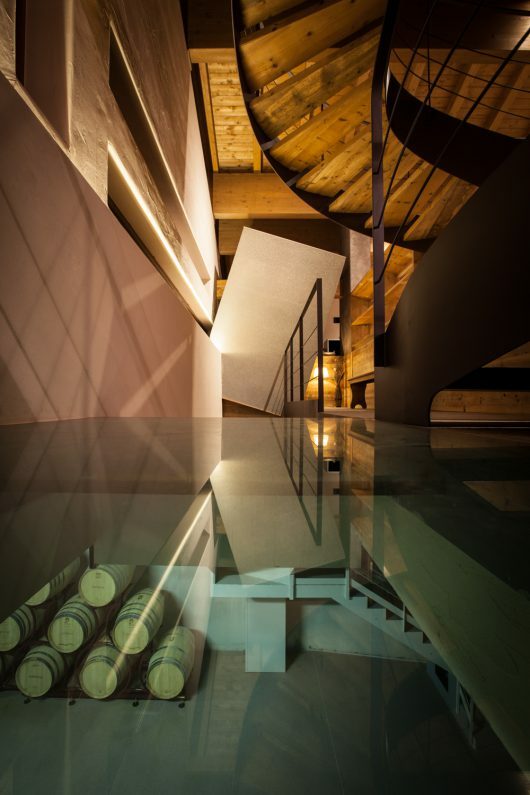 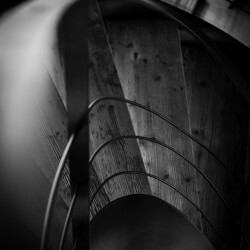 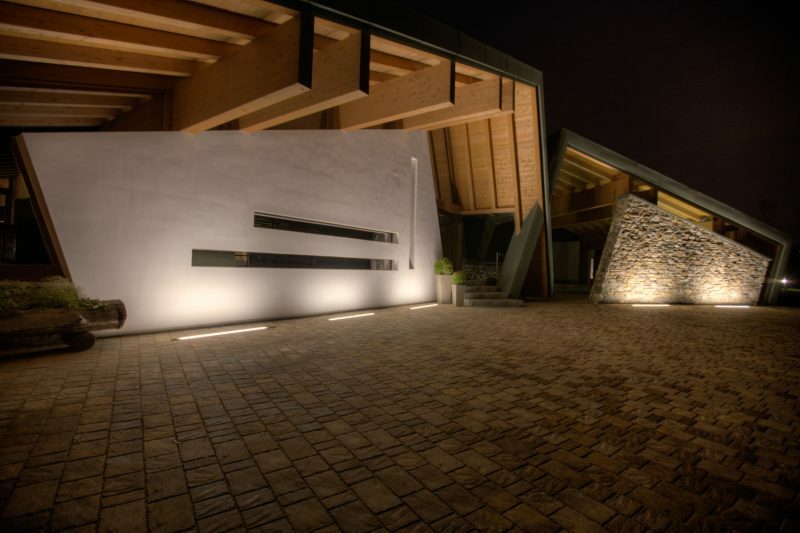 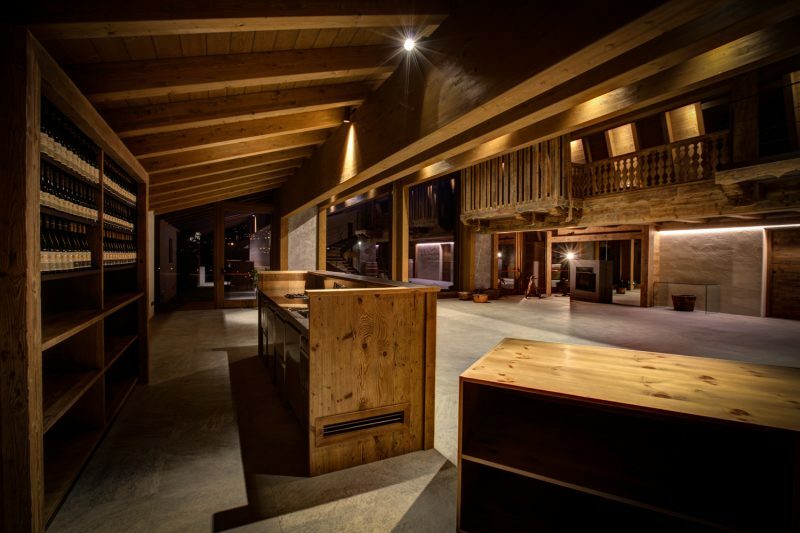 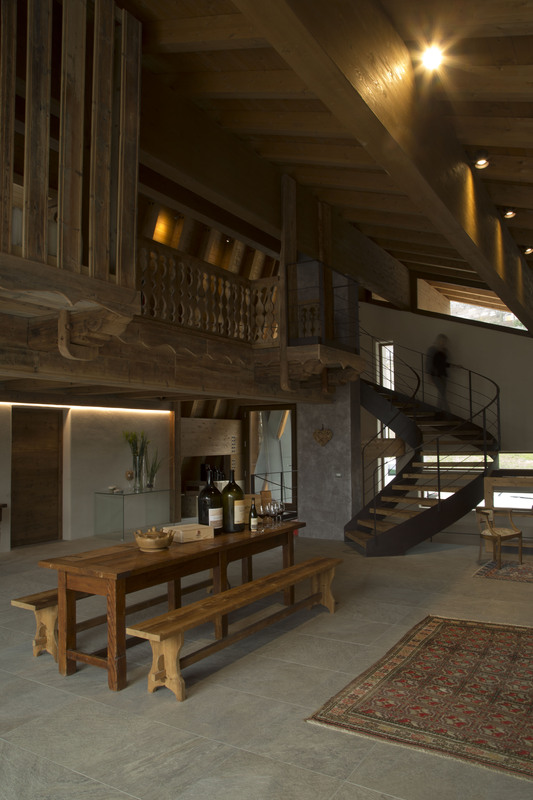 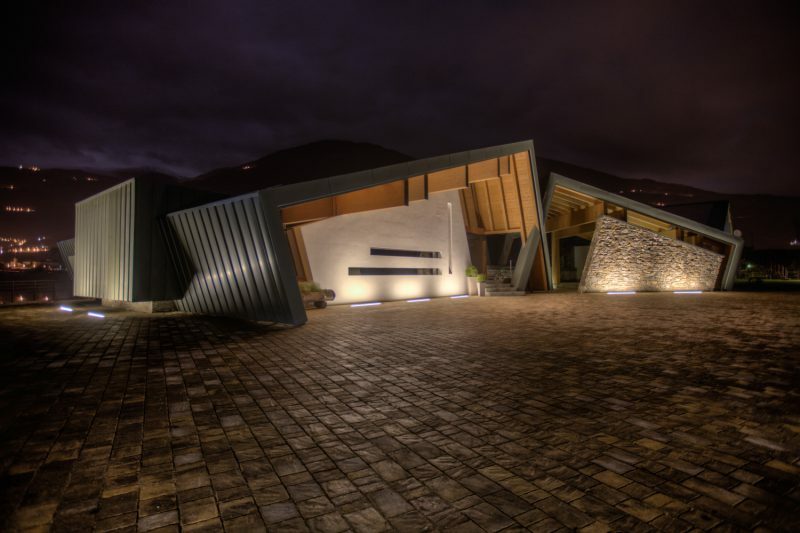 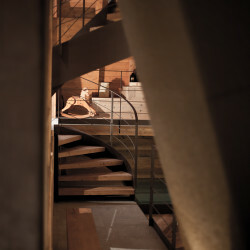 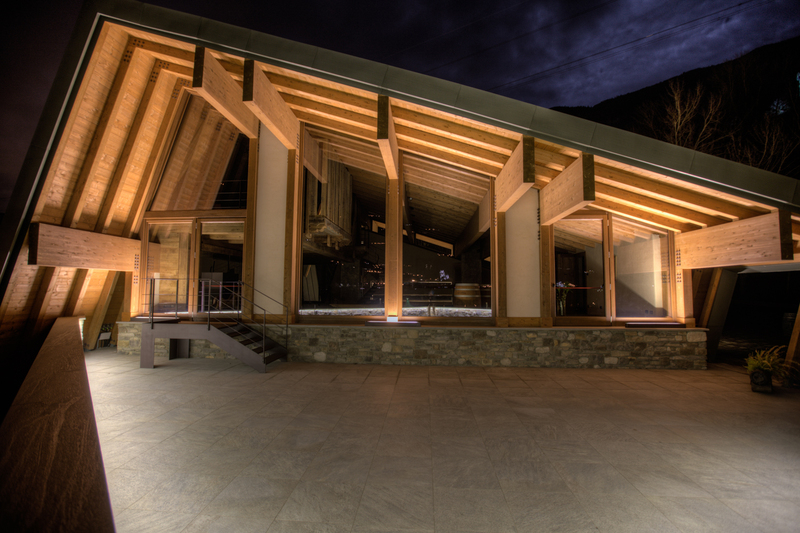 The project, which received a special mention in the international competition “Le Cattedrali del Vino” GAMBERO ROSSO Magazine , a side event of the Venice Biennial, was designed by the Architect Domenico Mazza in Courmayeur, the inspiration comes from the new mountain huts. 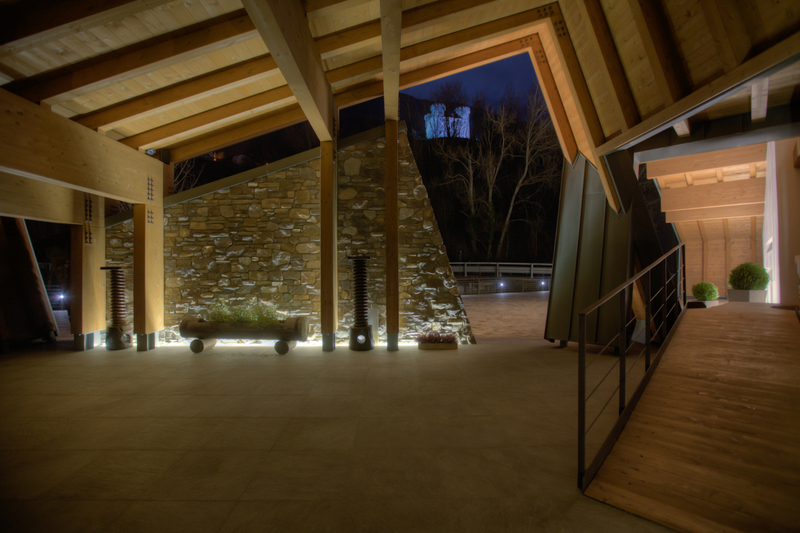 The impact is showy, with a roof that resembles the shape of the mountains and with a structure where the windows are the protagonists. 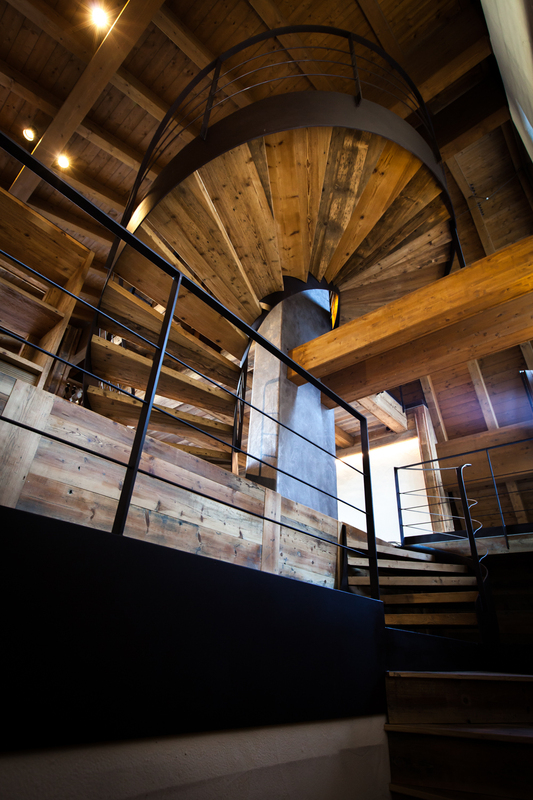 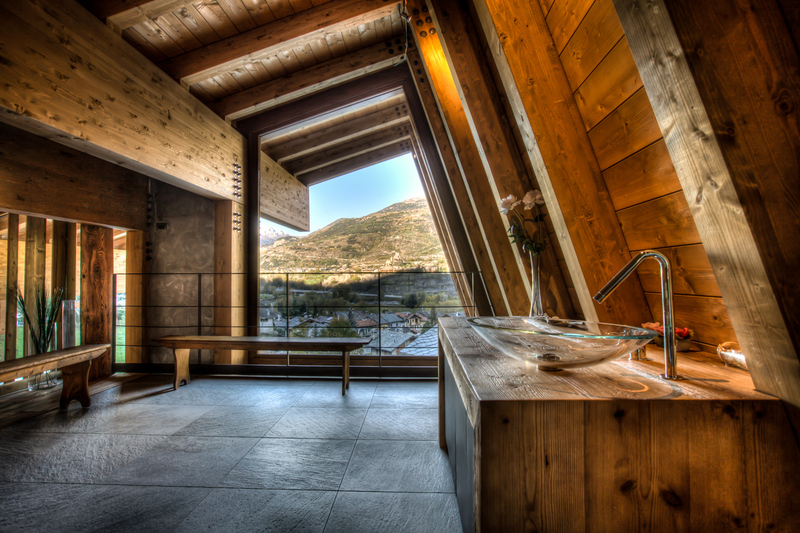 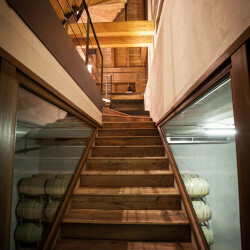 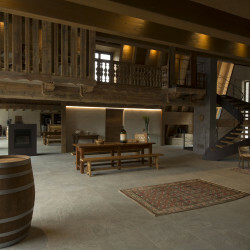 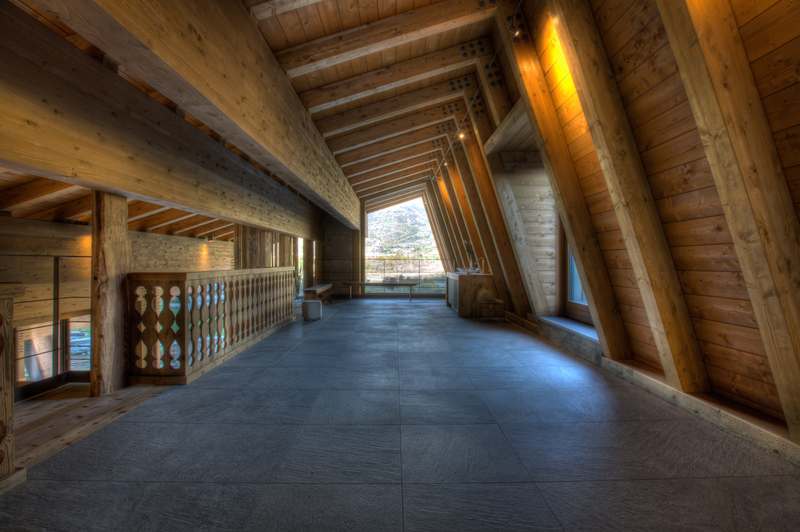 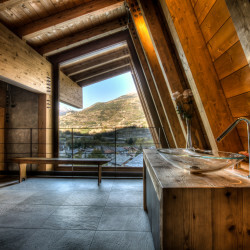 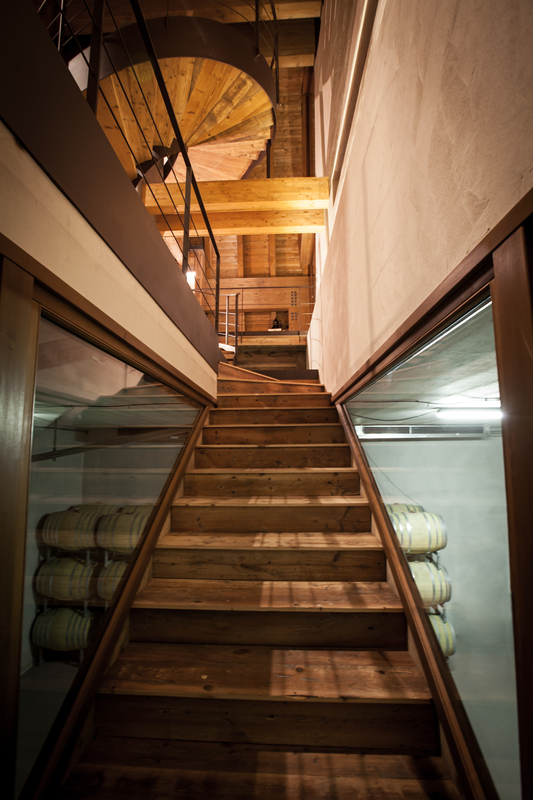 By walking in you will live a sensory experience, with an area dedicated to the essences and a library with books concerning wine and the Aosta Valley, all this in a place where you can sit, read, drink a glass of wine and admire the wonderful panorama. 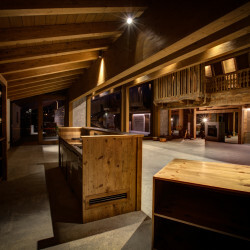 The choice of the architecture and the name “Rifugio “ has a double meaning: “We have the most beautiful mountains and we want to remember by taking a mountain hut in the valley.” And then because the hut is considered as a welcoming place. 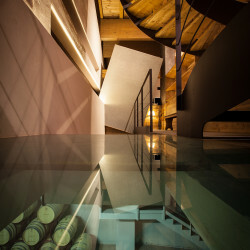 In short, a place to search the authenticity of a territory. 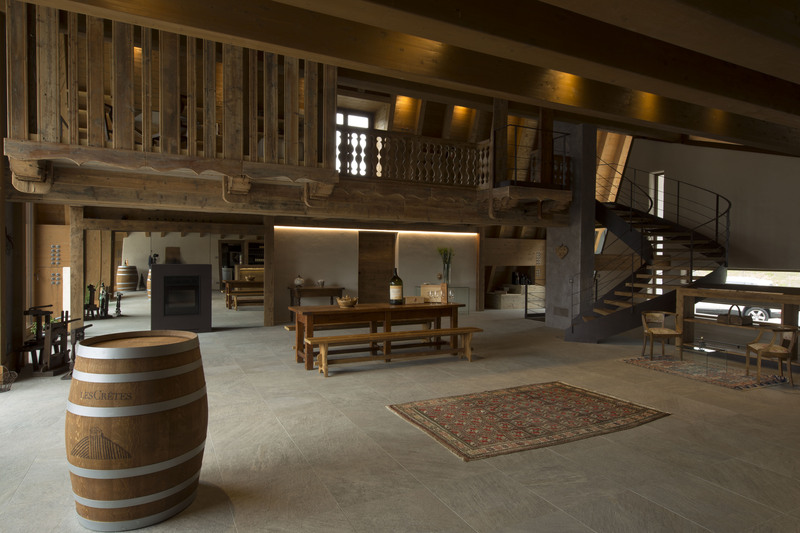 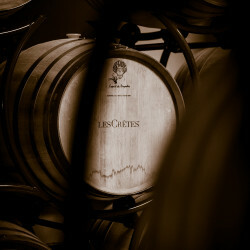 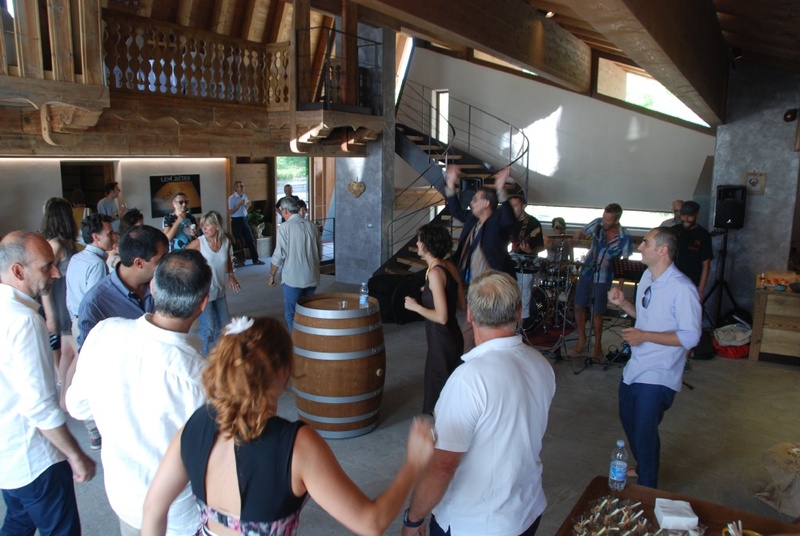 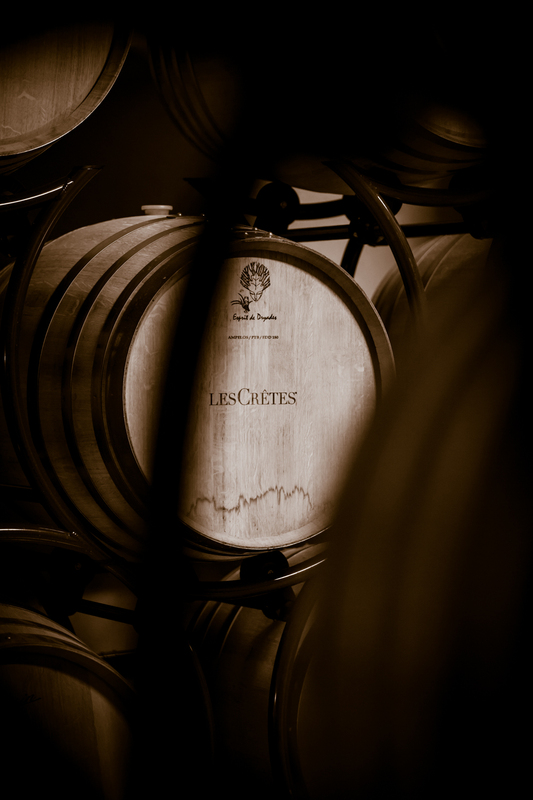 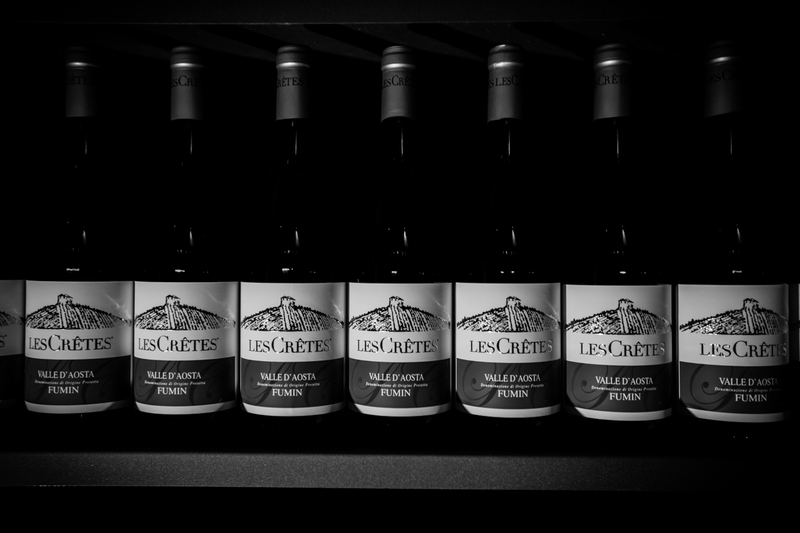 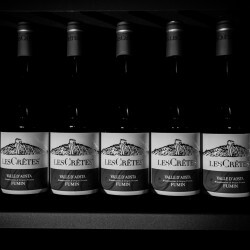 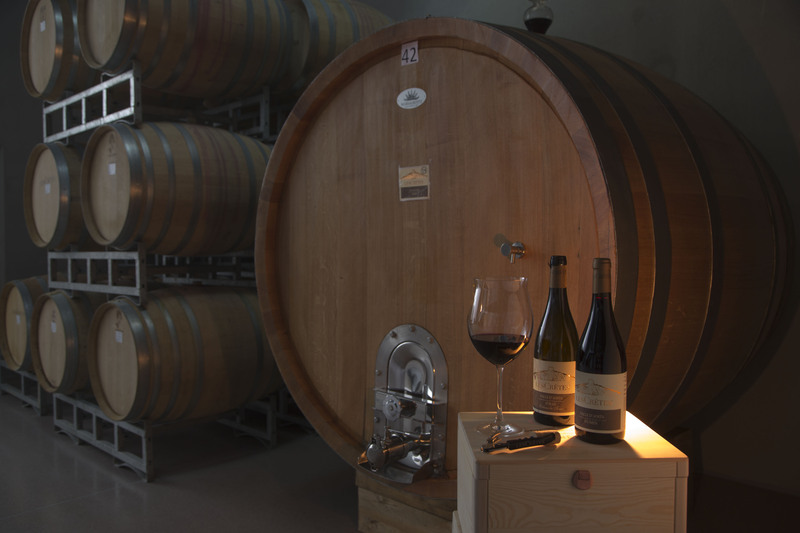 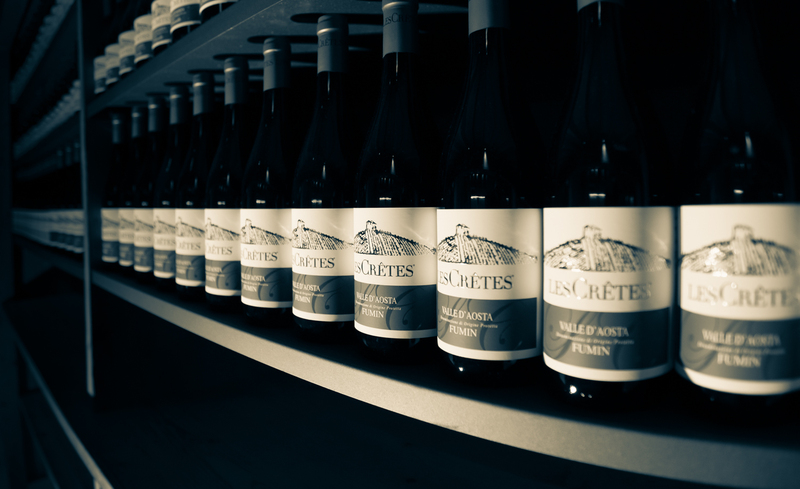 The harmonious landscape of the Aosta Valley mountains, the climate and the friendliness of the people make Les Crêtes the ideal place for guided tours and tastings. 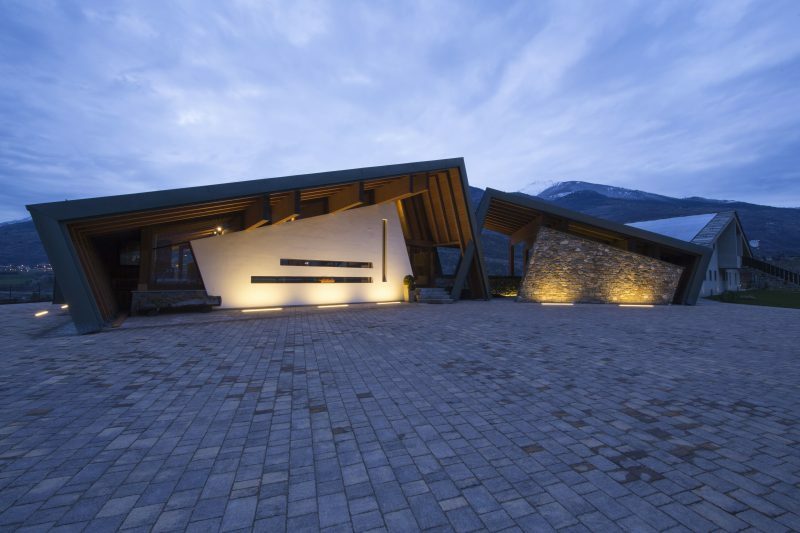 The architect has created a building with a decidedly contemporary aspect that actually comes from the processing of a previous expansion project already begun by the ownership and then reviewed. 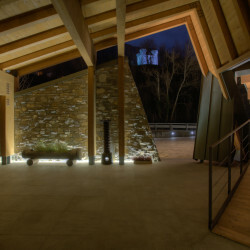 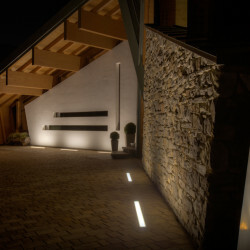 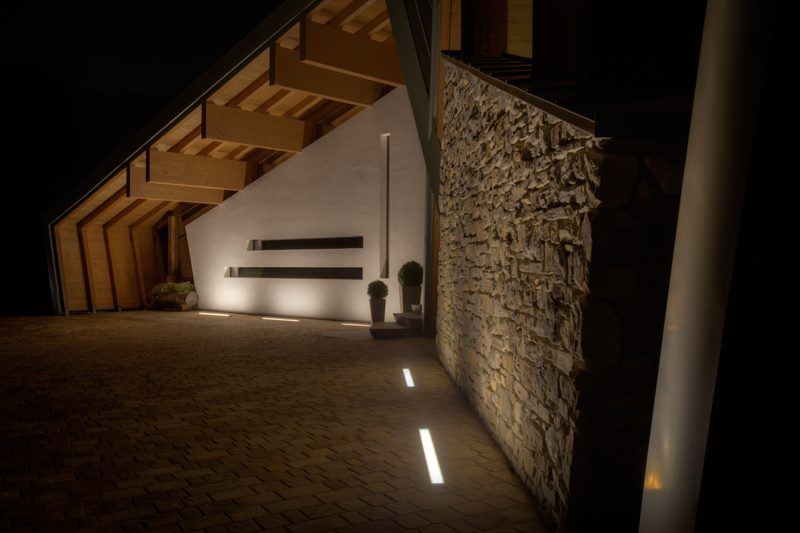 The architect has therefore redesigned the building starting from some concrete structures that already existed and which have greatly influenced the settlement system. 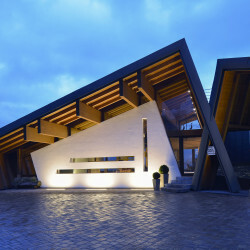 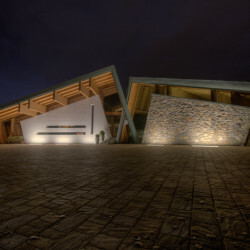 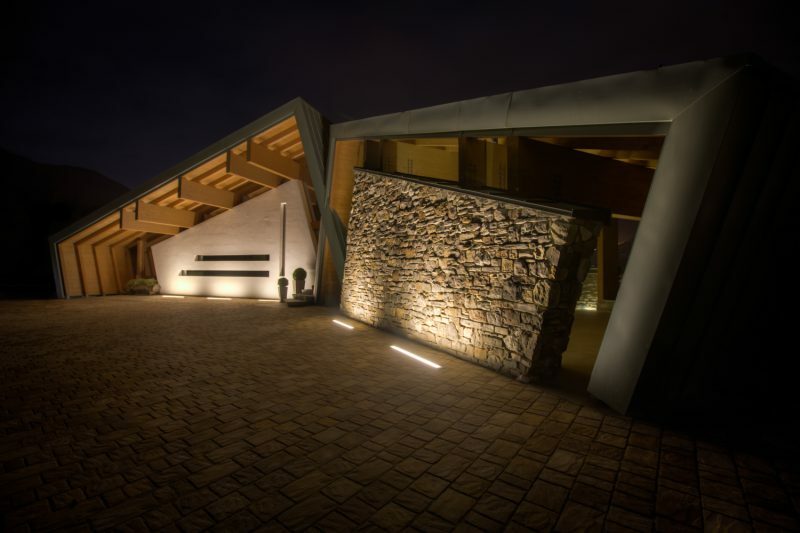 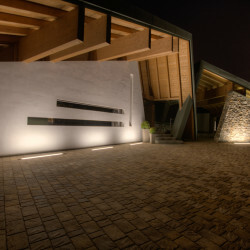 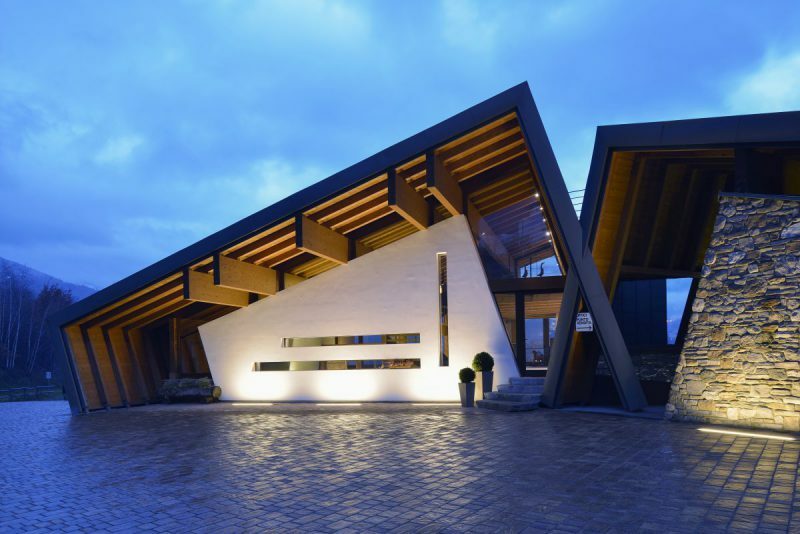 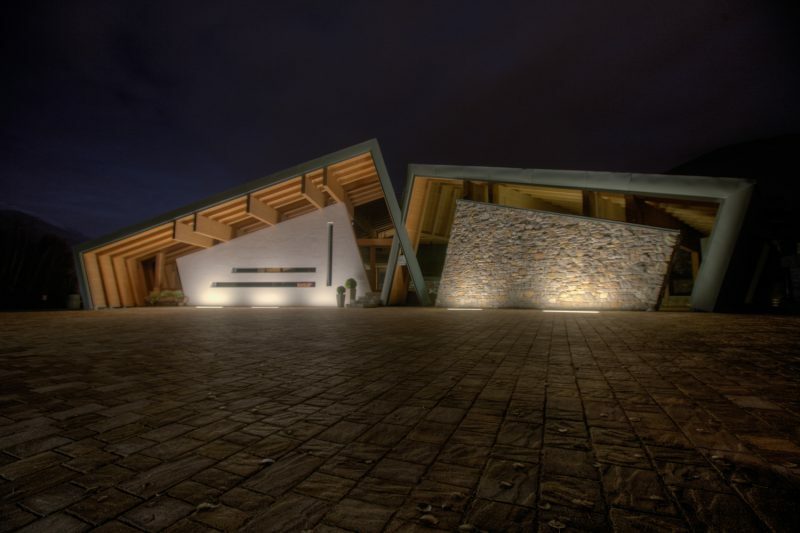 The winery looks like a large canopy, made of laminated wood, covered with metal sheet and with the vertical cladding almost exclusively glazed. 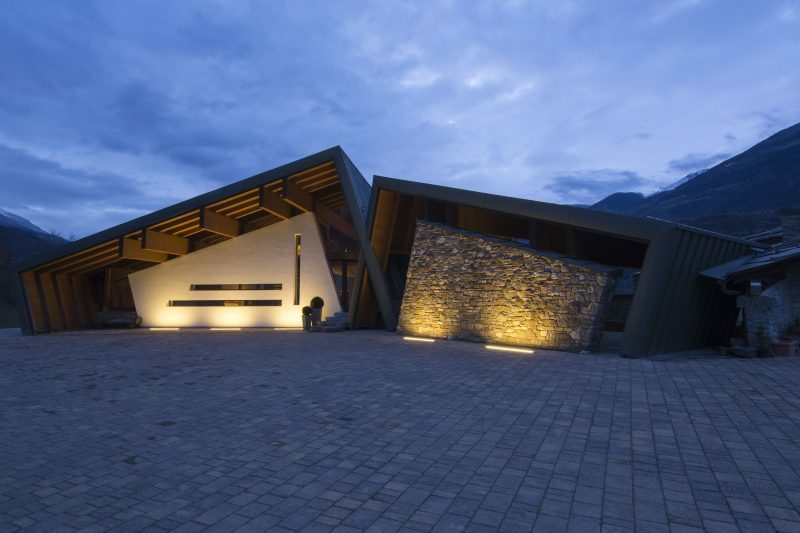 The complex profile of the building – from a distance almost reminds one of a mountain range – was born from the intermingling of several simple volumes inclined between them. 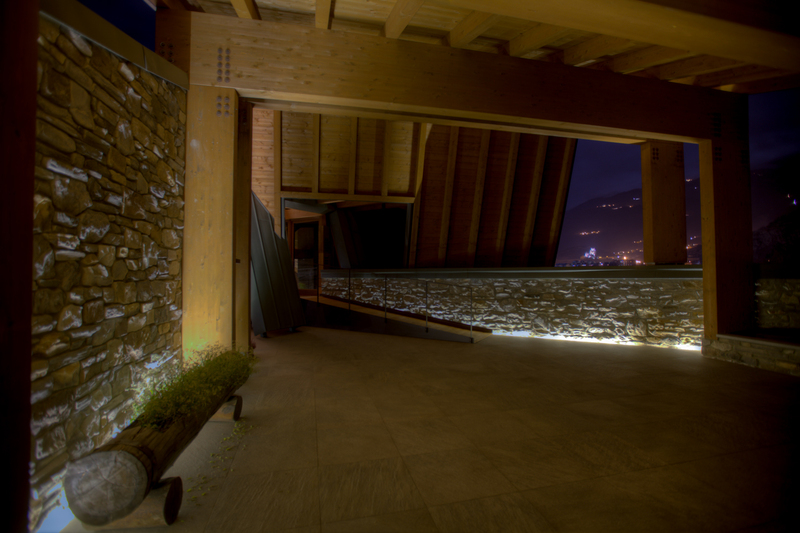 When the night falls, it’s interesting to admire the wise use of transparencies and lighting that makes this work almost expressionist.